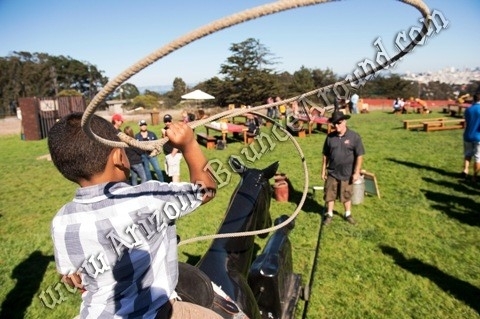 Rent a rodeo roper game in Phoenix Arizona for western parties. 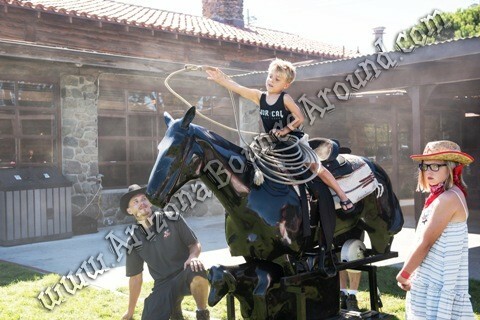 Our Rodeo Roper machine is a real interactive calf roping game perfect for any western themed party or event in Arizona. 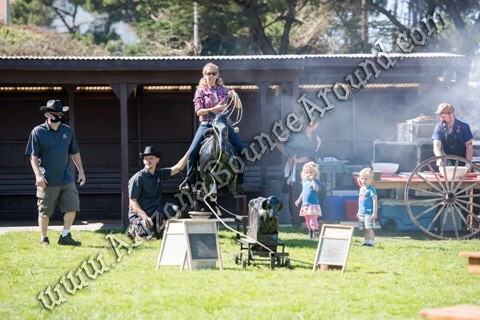 Try your roping skills on the rodeo roper as the calf takes off. Staff is included in our rodeo roper rental price. Add a western themed mechanical bull or western shooting gallery for a real western adventure. Be sure to check out our Saloon Bar Shootout game that will be sure to please at any western themed party or event in Arizona.